If you are in the market for a new fence, then you know that you have your pick of fence companies. But, if you want to ensure that you receive the best fencing money can buy and a job well done, then the only name that you need to know is Chesley Fence & Deck. 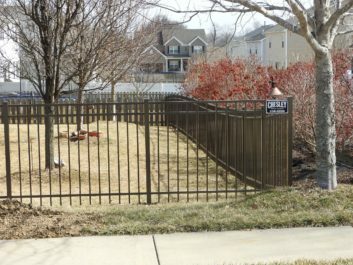 We have been the fence company that homeowners in the Florissant, Missouri area have trusted most for all of their fencing needs since our founding in 1967. In fact, we have had the privilege of installing more fencing for area homeowners than any other company in our territory. Yet, an array of world-class fencing options is not all that we have to offer our customers. 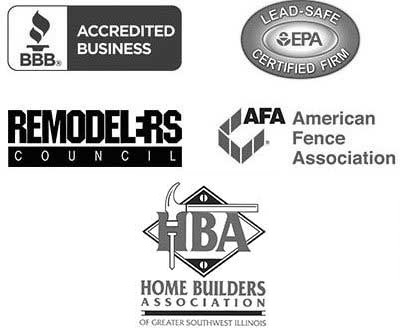 As a premier fence company, we also strive to provide impeccable service. Our knowledgeable team members will take the time to help you choose the fencing that will best suit your lifestyle needs. Then, our factory-trained and seasoned employees, never subcontractors, will install your new fencing to our exacting standards in any configuration that you desire. Plus, we will back your new fencing and our workmanship with unbeatable warranty coverage, including lifetime warranties on all aluminum and vinyl fencing and a three-year warranty on all labor. Contact Chesley Fence & Deck today to learn more about what sets us apart as the best fence company in the Florissant, MO area.